Welcome to the Gateway. 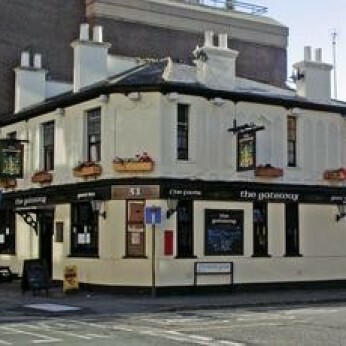 The Gateway is a traditional pub in the heart of Reading. It is the ideal place to escape from the hustle of the city. Step through the door and enjoy the relaxed and convivial atmosphere of this charming pub. It is welcoming and friendly and will ensure that your sojourn will be a pleasant one. Serving a full menu daily with a comprehensive selection from baguettes and sandwiches, starters and tempting main courses, and of course the house specialities. The menu offers something for everyone – from the busy shopper to corporate lunches. The Gateway shows all the major sporting fixtures on it’s big screen and plasma screens and offers a lively and comfortable atmosphere for watching all the matches and enjoying the craic.